Pago de Espejo is the creation of the fourth generation of olive growers in the property of "La Condesa" that since 1920 belongs to the family Espejo. This project arose in 2013 with the intention to give a business address to the production of extra virgin olive oil that women in the Espejo family have developed for more than 90 years. Its peculiarity is that are the women who have been and are at the forefront of production since 1920. 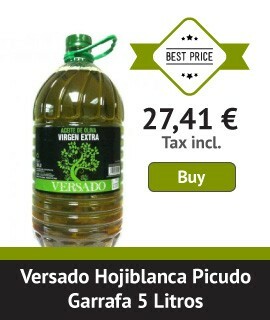 Their oil mill is located in Villanueva de la Reina (Jaén) and they continue with the philosophy where quality comes before profit, in order to obtain the best olive oil possible. For that they specially care the system of olive harvest and the immediate transport to the mill, which aims to seek excellence and distinct personality in the extra virgin olive oil. Pago de Espejo is under the same boundary and therefore there is a greater control in production and processing.